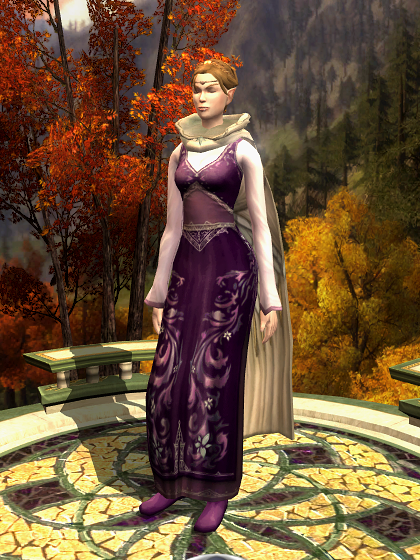 Calairiel may be the group’s cook, but she should still be able to dress well at festival time. 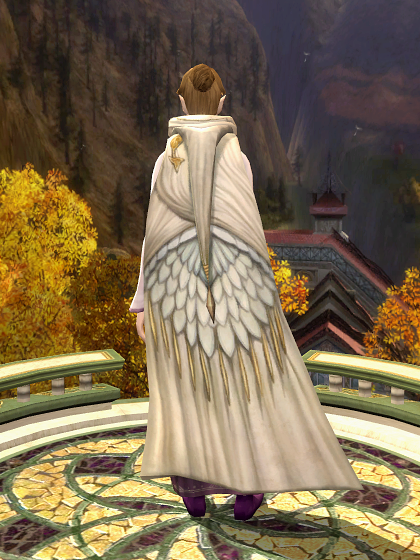 She even had a barber do up her hair for this two-piece outfit (it wouldn’t do to have it clipping through the cloak, after all). 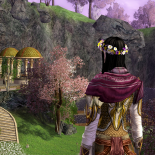 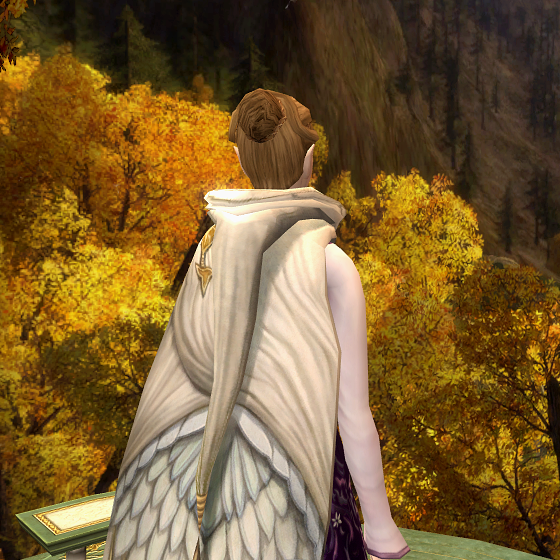 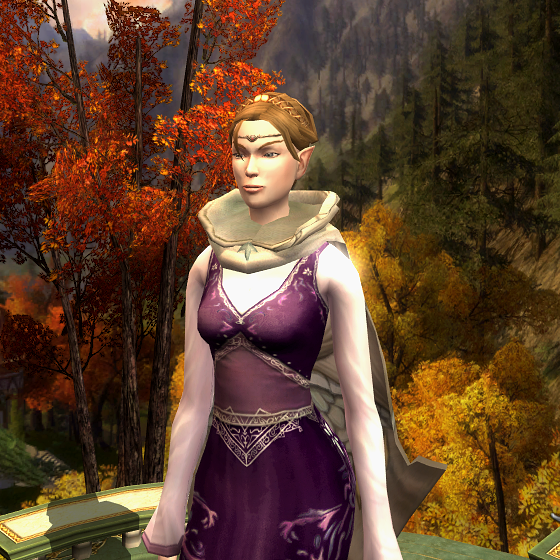 This entry was posted on 2014.06.25 by vyh in Outfits and tagged calairiel, cosmetics, cream, dress, festival, lord of the rings online, lotro, outfits, purple, white.